One of the issues I run into not infrequently is one of self-doubt. I like to think that I know a fair amount about comics and comics history, but I am pretty regularly out-classed by others and feel like the dumbest kid in the metaphorical room. 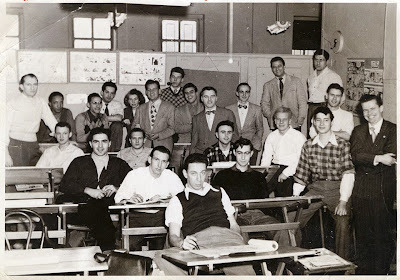 Someone might post a group photo from the 1940s, and ask for help in identifying some of the comic creators and I find myself not only not recognizing any of them, but not even recognizing the names of half of them once they are identified! These days, I'm finding myself more frequently among actual scholars and it can be a little intimidating at times. However, they're not universal experts! Part of why those old photo identifications are getting crowd-sourced is precisely because none of us have all the answers. I mean, would you have been able to pick out Wally Wood from this picture if I didn't tell you he was in it? Can you even pick out Wood now that I've told you he's in it? The Comic Magazine Publishing Report contained statistics on all comic titles on sale over a period of several months including on-sale dates! 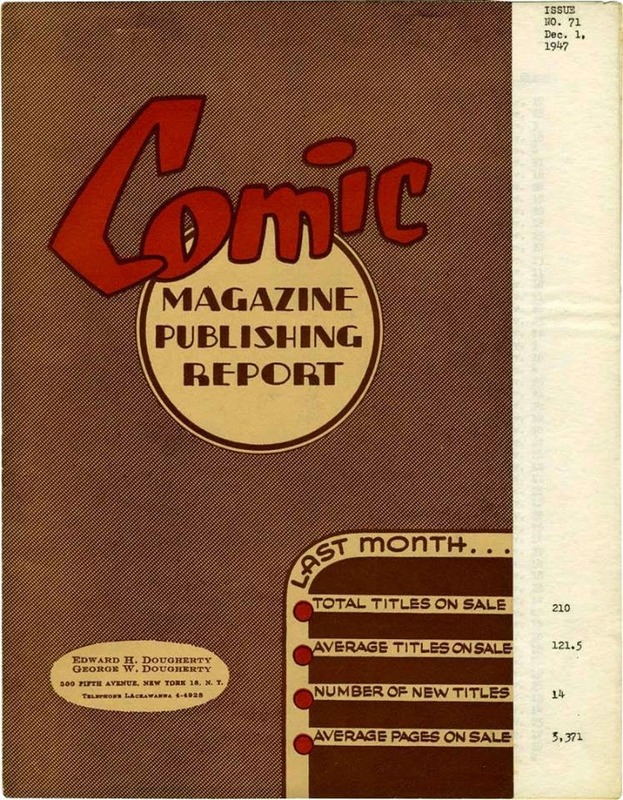 It also notes which titles ceased publication and which new titles debuted. Most of the other scholars he brought it to the attention of responded as if they'd never seen it before. And none of the librarians sprang to the table with claims of having copies in their collections. I caught somebody a month or two back who asked about why The Jack Kirby Collector was still being published. After all, hadn't Kirby's work been analyzed to death? What could you possibly find that's new? I responded, of course, by saying that we are always unearthing new material. Not every bit of it is completely revolutionary, naturally, but there's a near-continual flow. And there's no one who knows all of it. So, to any would-be or amateur comic historians out there, it is absolutely worth pursuing even in the face of others who seem much more knowledgeable than you. They don't know it all, either, and that's why we talk and try to figure this stuff out together.